I read this week’s weekly photo challenge and then immediately dismissed it. My uncle had just died and I was planning my trip and then traveling home. It wasn’t until this evening that I’ve gone back to look at the images I took this week to see if perhaps light became an unintentional theme. These are the images I found. 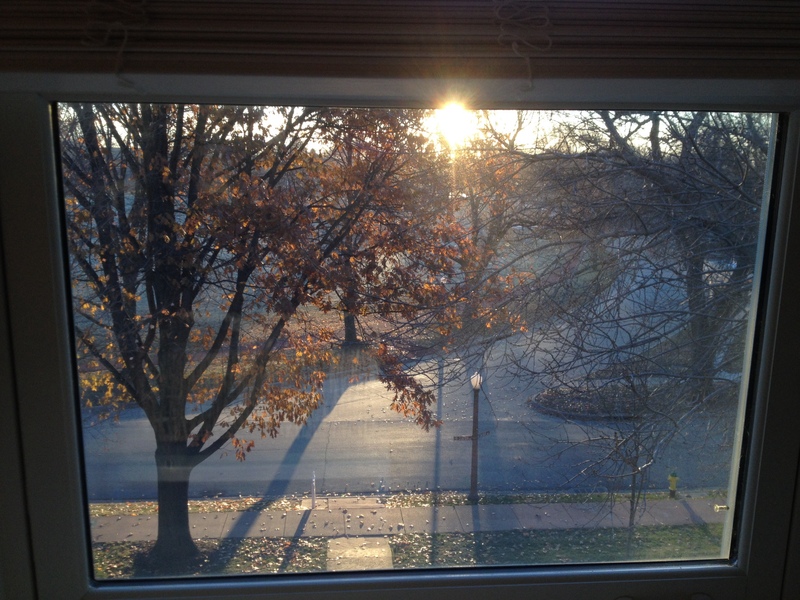 This taken from the window of the craft room/studio space on the third floor in my new home as the sun was rising. 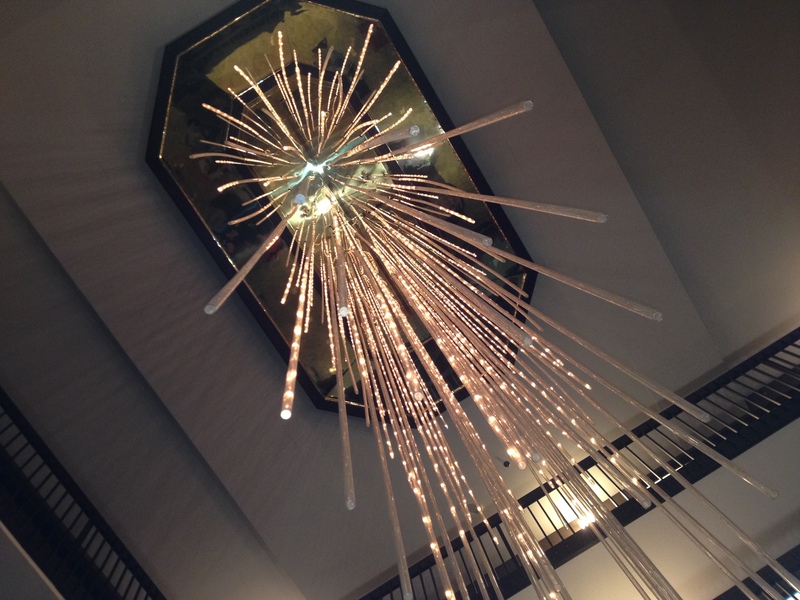 One taken of a beautiful chandelier in the hotel I stayed in on my way back to Ohio. And this, taken at the church, the morning of the funeral. 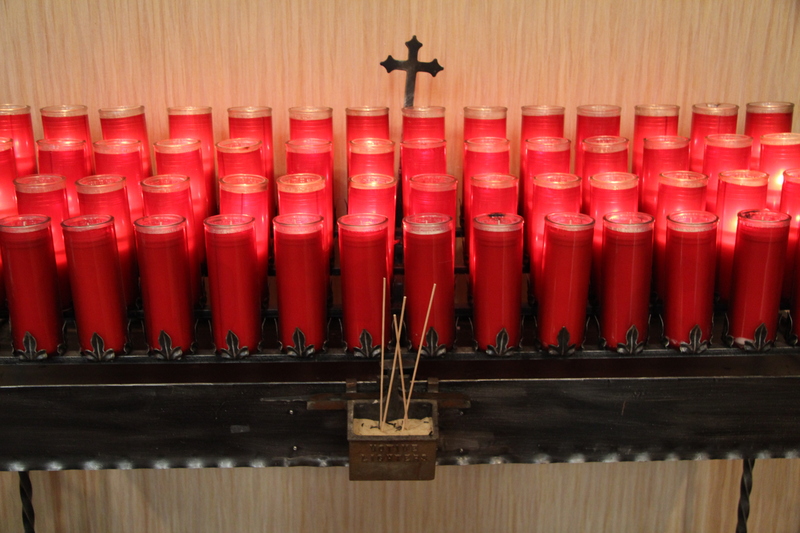 The candles we light for special intentions. Light sources….one natural, one man-made, and one….a light, rooted in our faith, that is kindled when we’re walking by faith and not by sight. Thanks Father. I miss the proximity of my house to yours….